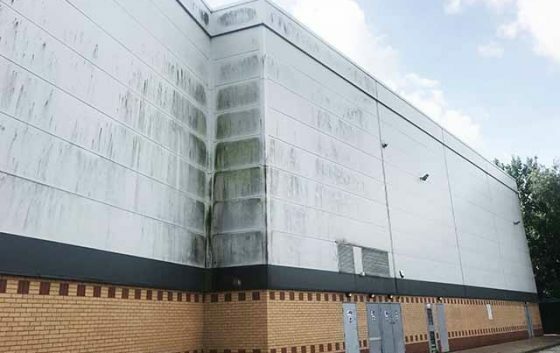 Cladding Cleaning East Sussex, cladding fades over time and it is recommended by all cladding manufacturers to keep it clean to slow down this process. 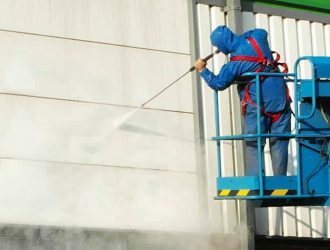 Arranging for your cladding to be cleaned by an experienced cladding cleaning company will give your building’s cladding the best results. 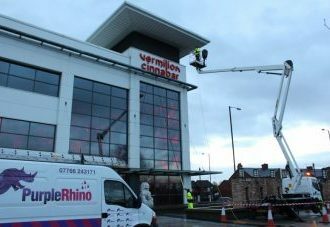 When you decide to have the cladding cleaned you can call Purple Rhino Cladding Cleaners on 0800 1577484 to discuss your requirements and arrange your free cladding cleaning quotation. 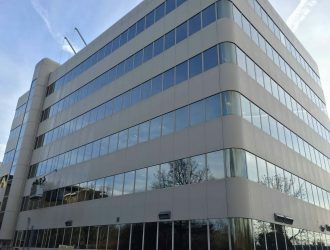 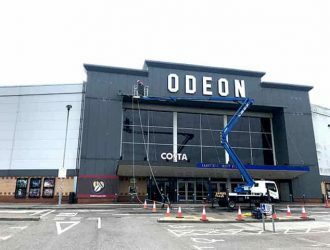 Make your building in East Sussex stand out from the rest, Purple Rhino will enhance the look of your building and your business when the cladding cleaning project has been completed. 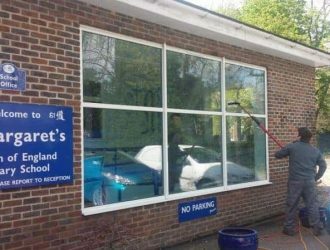 Plastisol type cladding often has a grainy leathery effect and has been manufactured by covering aluminium or steel sheeting with a plastic finish. 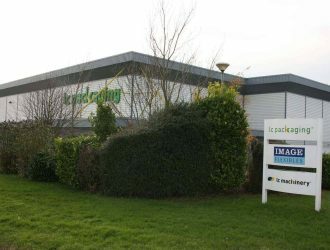 This is one of the most used types of cladding for warehouse buildings and offices throughout East Sussex. 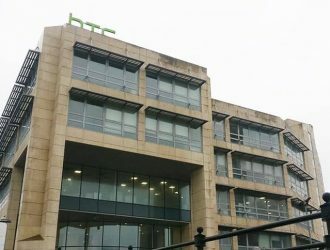 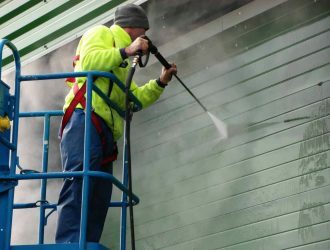 Cladding Restoration by cladding cleaning teams will bring back the original colour of your cladding ensuring the building returns to its former glory. 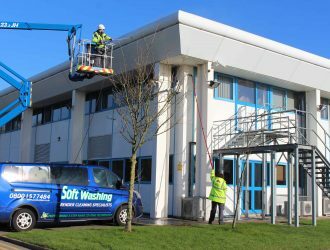 SoftWashing to cladding is becoming extremely popular in East Sussex, often cladding can be cleaned this way without using high lift access equipment, saving you money whilst your cladding is being expertly cleaned. 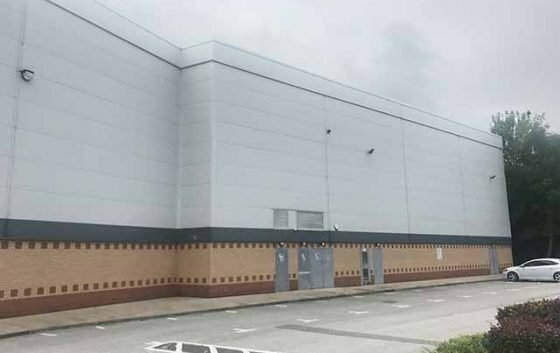 Warehouses and modern offices often use cladding to make their building look awesome, have it cleaned regular will add long term asset value as well as impressing all of your visitors when they meet you on your premises.